At times we just ignore the importance of a great mouse for a computer, but when you’re working on a laptop or on a desktop computer the mouse in your hand controls the speed of your work. Having a good optical mouse can not only make things more productive, but they can also prevent injuries to tendons that could occur from repetitive use. Speaking of mice, we have reviewed the best in its class the Logitech MX Master 2s. Rated one of the best in its category. Well then, lets find out. The shape and size of the mouse is quite bigger than other in this range. It’s hand-sculpted shape gives extra value to it when you are holding it in hand it feels more comfortable in hand. The edge of the left side of the mouse is larger and allows your thumb to rest at that particular place. When you hold the mouse you can feel the quality as opposed to its competitors that often feel cheap. This wireless mouse has a unique thumb wheel and an adaptive scroll wheel. At the bottom of the mouse, there is a button which helps you to switch between 3 connected computers at the same time. The mouse is available in 3 different colors Stone, Black and Navy, so you can choose one as per your like. The tracking is very accurate and picks up well on all surfaces. The MX Master 2s is wireless and can be connected to the computer with different connections such as Bluetooth or through the USB receiver that can be connected to the USB port of the computer. They have upgraded this model from the old MX Master’s 1000 dpi to and adjustable dpi of up to 4000 dpi on this new model. This is definitely going to be a bonus if your a gamer or do a lot of computer design work. The mouse has a horizontal scrolling well. This mouse can be connected to multiple computers at the same time. 3 Computers or devices. This mouse tracks virtually even on glass and high gloss surface. Besides these, all this wireless mouse offers a great battery life and also comes with inbuilt lithium polymer rechargeable battery. The battery lasts up to 70 days when it is fully charged and also it gets the juice for the day if just 4 minutes of charge. 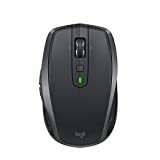 The Logitech MX master 2s is the upgraded version of the predecessor Performance MX and it works way better than its previous version. The mouse can be used on Mac as well as in Windows computer. 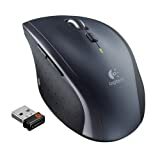 And if you’re talk about the software Logitech MX master 2s can be customized and configured as per your requirement of shortcuts in various applications. As for example, the shortcuts can be configured in chrome as, when you roll the side wheel it will change the tabs of chrome browser. You can also use customized software shortcuts for other applications as well. Sometimes for me, the shortcuts to Adobe premiere pro or Adobe Photoshop are very useful. The design of the mouse is too good and it feels premium in hand. The mouse can be used even when it is charging via micro USB cable. It can be connected to 3 computers at the same time. Works platform independently both in MAC and Windows system. In addition, it has gesture control and it is made from original hand sculpted design. Talking about the cons the only negative I have found in the mouse is lack of USB type-C but this is not a big deal because it comes with a micro USB port.